Kevin Costner has now dropped out of Django Unchained due to scheduling conflicts. Quentin Tarantino's revenge story about a freed slave looking for his wife stars Jamie Foxx, Leonardo DiCaprio, and Samuel L. Jackson. 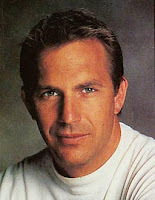 Costner was to play Ace Woody, a henchmen of DiCaprio's evil plantation owner, who trained the slaves to fight. Django Unchained hits theaters December 25, 2012.